UK manufacturing is enjoying a great renaissance, helped by the growth in the cost benefits of re-shoring and the sustainability agenda. The latest government statistics show that last year manufacturing employment in the UK rose for the first time in decades. Today’s industry is a vibrant and innovative industry, creating growth, jobs and opportunity. This diverse sector produces high-quality products used in hospitals, cars, international catwalks and the high street. 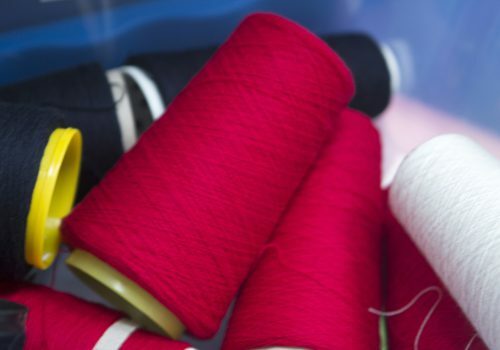 In the UK it is estimated that some 20,000 new jobs will be needed in textile and clothing manufacturing to keep up with growing demand. 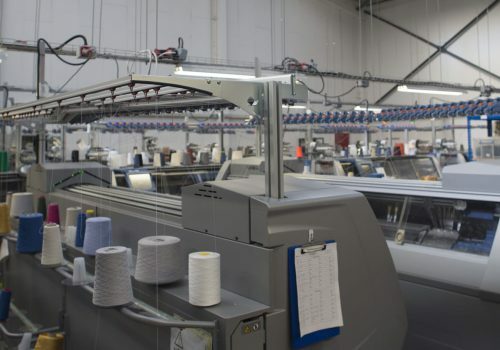 The UK fashion and textile manufacturing sector has always been a significant driver of the growth of the UK economy, from the first industrial revolution to the development of Industry 4.0. In 2017 our manufacturers produced product worth £9.1 billion and employed over 105,000 staff. In recognition of the skills and talent within UK textile, fashion and jewellery manufacturing UKFT’s President HRH The Princess Royal regularly visits UKFT manufacturing members, from central London to rural Scotland. These visits form part of UKFT’s Let’s Make It Here initiative, in celebration of Britain’s rich manufacturing heritage. A unique collection of manufacturers based in the heart of the Capital but all facing similar barriers to growth. UKFT has created a comprehensive toolkit to assist brands with developing and nurturing successful relationships with manufacturers. 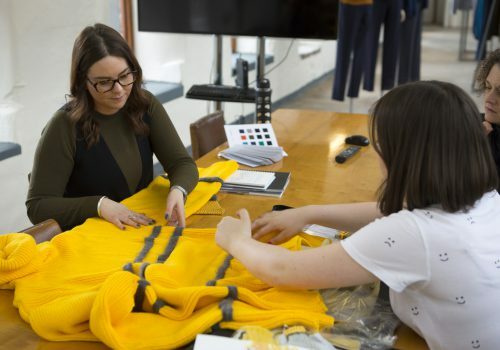 UKFT’s campaign to bring together graduate design talent and the skills of UK manufacturing, supported by Marks & Spencer. We are committed to connecting UK based manufacturers and brands to help the industry thrive.